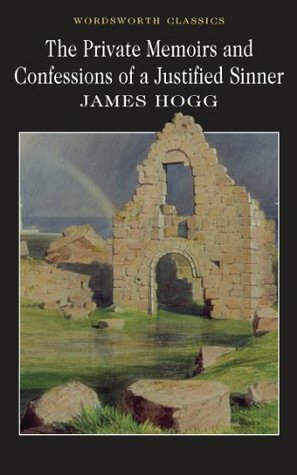 James Hogg's most ambitious prose work. The Private Memoirs and Confessions of a Justified Sinner, is now widely acclaimed as his masterpiece. In the early years of the 18th century, Scotland is torn by religious and political strife. Hogg's sinner, justified by his Calvinist conviction that his own salvation is pre-ordained, is suspected of involvement in a series of bizarre and hideous crimes. A century later his memoirs reveal the extraordinary, macabre truth. The tale is chilling for its astute psychological accuracy as it illustrates, with power and economy, the dire effect of self-righteous bigotry on a fanatical character. The Private Memoirs and Confessions of a Justified Sinner is an intriguing, intensely psychological work. I liked the split between the two narratives. In the opening we form one idea of what has happened, but then we get to the 'memoirs' and we see the story from a very different angle. The prose was engaging, and I found myself eager to read on, to know what turn the story would next take. This Gothic melodrama considers Calvinist theology, Satan, and free will. Did Satan control Robert, or was it all in his mind? That is left up to the interpretation of the reader, as is whether we can trust any of the narratives. A stunningly interesting work and well worth a read. 4.5 stars from me.